In Pennsylvania, so-called “games of skill” are causing confusion for law enforcement. 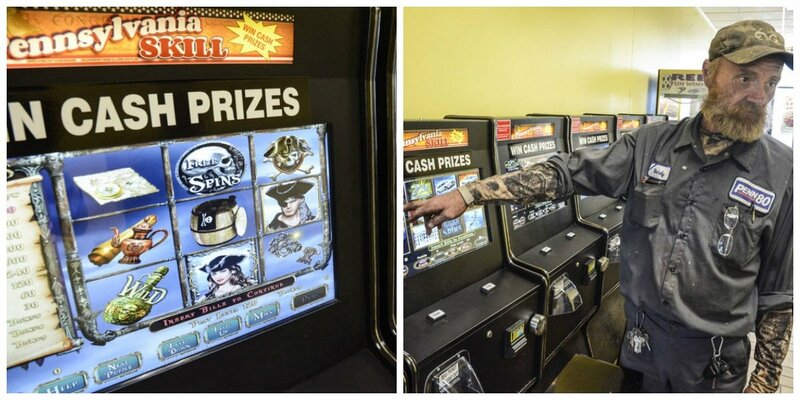 The machines, which look a bit like traditional slots at first glance (see video below) are found primarily at gas stations and convenience stores — but their legality is in question. Supposedly, the games involve actual skill rather than the random luck of a slot machine, but while some Pennsylvania courts have ruled in favor of the companies providing the games, law enforcement and regulators are still grappling with their legitimacy. When asked to comment on the games' legality, Ryan Tarkowski — a spokesman for the Pennsylvania State Police — told Casino.org: “Illegal gambling devices continually are encountered throughout the commonwealth, despite enforcement efforts. “There are court cases pending that will hopefully provide clarity on the issue. Beyond that, we cannot comment on potential ongoing investigations,” he added. Last year, Major Scott Miller, who serves as director of the Pennsylvania State Police Bureau of Liquor Enforcement, said his unit sees the machines as illegal, PennLive reported. A major law expanded gambling in Pennsylvania in 2017, which expanded the definition of slot machines to include games of skill, and some officials said these games are only legal if they are located in licensed and regulated casinos. Yet, Gary Lagana, owner of the Got Skillz gaming room in Hazleton, said he has a letter saying the “Pennsylvania Skill” games are, in fact, legal, which basically confirms a court decision in 2014 in a Beaver County case. “As long as they're legal, we'll continue to operate,” Lagana told the Hazelton Standard-Speaker. One of the game-of-skill providers — Georgia-based Pace-O-Matic — which developed the “Pennsylvania Skill” game, said it was approved in the Beaver County case. The company insists it encourages employees and proprietors where the games are found to check players' ages, and leases five or fewer machines to any one venue. “We engage legal counsel on many levels, both local to us and to our markets, to obtain a solid understanding of the local laws, rules and regulations,” the skill-game developer's site continues. “We design our solutions to fully comply with those laws, rules and regulations and obtain opinion letters from trusted professional attorneys before marketing our products. Caesars installed 21 skill-based GameCo games at three Atlantic City casinos in 2017, but subsequently pulled them after a six-month trial wasn’t as successful as executives had anticipated. “We all understood that we were learning and experimenting. It was a big learning experience for all of us. People have to come find the games in a sea of 1,500 slots,” Melissa Price, senior vice president of gaming enterprise for Caesars, said at the time. Whose Skills Are They, Anyway? Whether or not the Pennsylvania games are legal is one thing, but what kind of “skills” you need to beat them is another contentious issue altogether. The post Pennsylvania ‘Games of Skill': Legal Issues Continue to Trouble Authorities, Confuse Providers appeared first on Casino.org.